Heart-failure patients who had this tiny clip implanted in their mitral valves were less likely to be hospitalized than those who did not receive the clip. A tiny clip designed to fix a leaky heart valve has shown promising effectiveness in a new study of more than 600 patients, apparently reducing rates of death and hospitalization in people with heart failure. One-third of patients who had the clip implanted in their mitral valves were hospitalized at some point during a two-year period. Among those who did not get the clip, two-thirds needed to be admitted to the hospital over the same period. 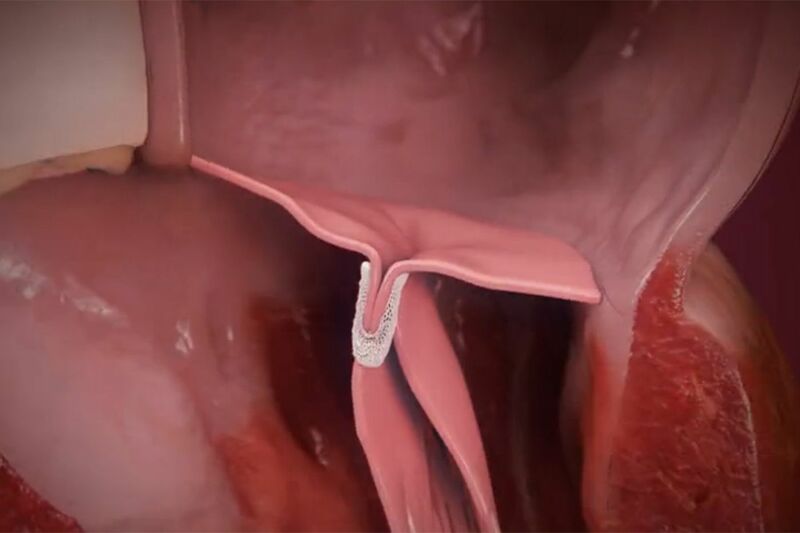 During that time, 29.1 percent of patients who received the clip died, compared to 46.1 percent of those who did not receive the MitraClip device, made by Abbott. To participate in the study, which was funded by the Chicago-area company, patients were required to have had at least one hospitalization for heart failure in the previous 12 months. The study results, announced Sunday in San Diego at a symposium of the Cardiovascular Research Foundation, were published in the New England Journal of Medicine. Among more than 80 health systems that enrolled patients in the trial were three in the Philadelphia area: Temple University Hospital, Penn Medicine, and Cooper University Health Care. Some physicians had expressed doubt that the clip would prove helpful in these patients, arguing that they were too sick to realize much benefit. On the contrary, the results suggest the device can help sick patients live longer, said interventional cardiologist Brian O'Murchu, a professor at Temple's Katz School of Medicine. "It's quite positive," he said. "These data are disruptive for a disease which has had very few good treatment options." The MitraClip costs about $30,000, not including hospital and doctor costs, according to the New York Times. The mitral valve is one of four key gateways in the human heart, allowing oxygen-rich blood to pass from the left atrium to the left ventricle, where it is then pumped out to the body. It can fail in one of two ways, said O'Murchu. In one instance, the leaflets that seal the valve shut can degenerate. The FDA already has approved the MitraClip for use in patients with that type of valve failure, provided they are too sick for surgery. The other type of failure occurs when the tissue in which the valve is anchored becomes enlarged — almost as if the frame around a set of double doors has become stretched to twice normal size, O'Murchu said. The "doors" remain in good shape but can no longer cover the opening — a phenomenon that can occur as the result of a heart attack or cardiomyopathy. "These perfectly good heart-valve leaflets no longer are able to maintain a tight seal," the Temple cardiologist said. The device, which is implanted with a catheter, was approved in 2013 for patients with the first type of valve failure — the kind caused by degenerative leaflets. The new results may lead the agency to approve the device for the type of patients who were in the trial, whose condition is referred to as secondary regurgitation.